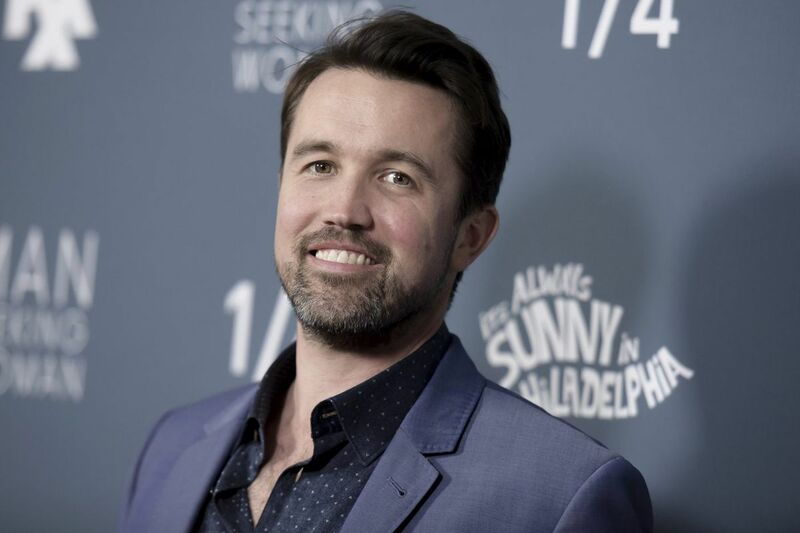 But because no one will accept my 50-year moratorium, I submit the following proposal: We build a gleaming colossus in the image of the greatest living Philadelphian — Rob McElhenney. McElhenney, a South Philly native, is the creator of It's Always Sunny in Philadelphia, the wildly successful FX/FXX sitcom set in the city. He also plays one of its main characters, Mac, a repressed, delusional, and bighearted would-be bodyguard who co-owns and operates a local bar. The show has become a cultural touchstone and managed to wrangle a few Emmy nominations along the way. Most important, McElhenney is the man behind the most famous depiction of Philadelphia of the 21st century. In a television landscape littered with glimmering versions of Los Angeles and New York, a dark, quirky comedy largely about the abundant weirdness of Philadelphia has managed to outlast virtually all its rival TV comedies. The show is currently among the longest-running sitcoms in history. Sunny is as much about this city as it is the lives of its characters. The show itself largely takes place in South Philly (raise your hand if you've seen your house in an establishing shot!). It has skewered the Main Line elite and Pennsport tough guys. An entire episode is centered on the grand American bazaar that is the Italian Market; the characters smash beer bottles in the driveway at St. Joe's in another episode. There are so many uniquely Philly landmarks that have been broadcast to international audiences that there's an entire interactive map delineating the locations that characters visit — including Franklin Square, the Marian Anderson Rec Center, and West Poplar's Universal Dollar Plus store — in order to help viewers get a handle on the show. McElhenney et al. have given the world a comic view of a city that is simultaneously warm, appreciative, snide and, at times, a bit too real. The Gang, as they're called, have become Philadelphia's de facto cultural ambassadors. Let's build a statue to the man who gave the world Philadelphia, in all its grimy glory.